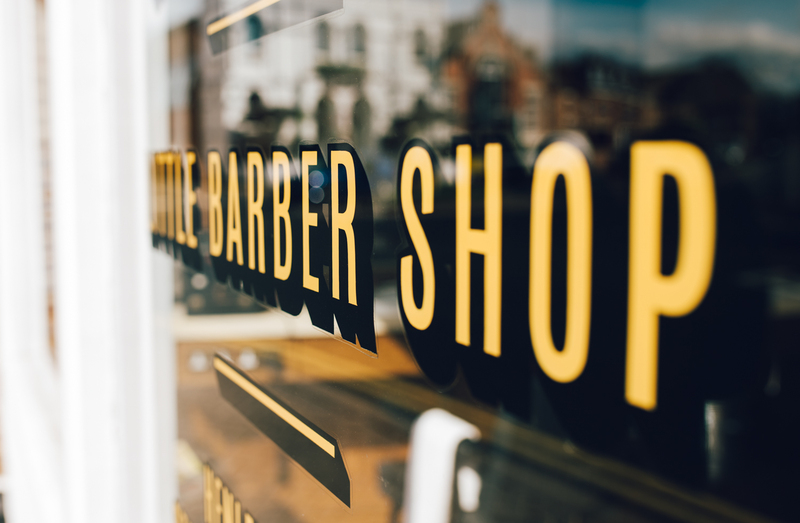 Building a responsive website for the Little Barber Shop in Stratford Upon Avon. 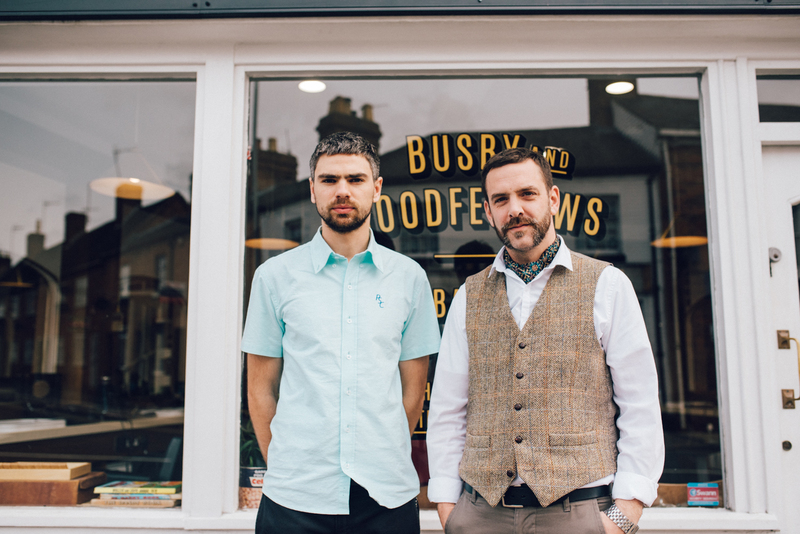 We started with a full photography shoot, capturing the individual details of the barbershop, Luke and Harry doing a few cuts and portraits of the guys by the shop. The shop is full of retro games, books, magazines and even an original Gameboy with Tetris ready to go. Its an ideal place to photograph, and it’s no wonder the Busby & Goodfellows Instagram account doesn’t include any evidence of actual hair cuts. 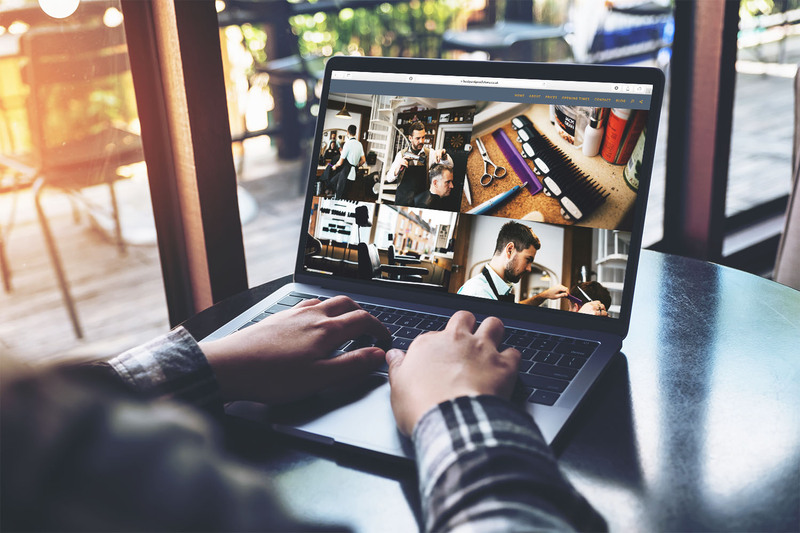 As with all our sites we were keen to make the page easy to navigate for Harry and Luke’s clients, whilst still providing all the essential info and making sure it looks good too. We created a few keys area including a small bio of the boys, a pricing structure, a live opening times board, which shows if they are currently open or closed, an integrated full map and contact options so clients have everything available at a touch of a button and don’t need to swap around apps or pages. The mobile experience is at the forefront of all of our website designs, with 55% of all users accessing web content through smartphones and tablets, we believe mobile content should be the priority going forward with all websites. 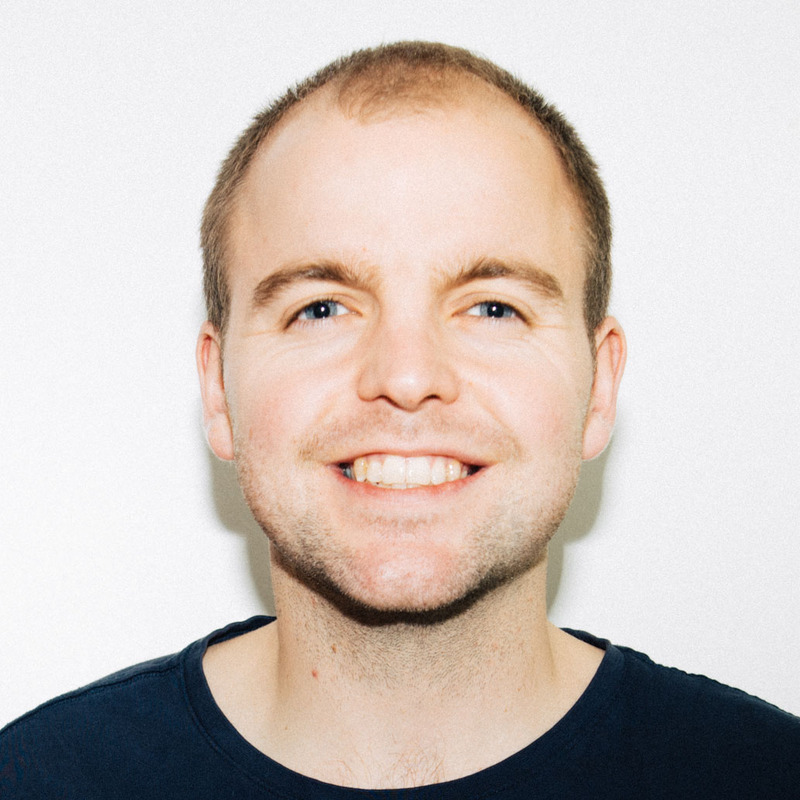 Over the next year Google are expected to fully roll out their “Mobile First” index, effectively measuring mobile performance ahead of desktop when ranking websites. With this in mind, we designed a one page site for them, lightweight and quick to navigate on mobile devices, while still looking great on a desktop. The links scroll down the page, so finding essential information is fast and easy. 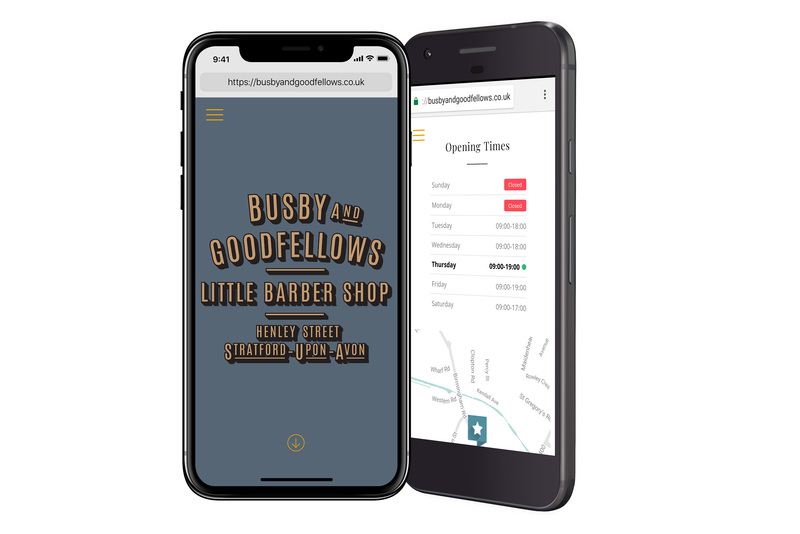 Luke & Harry are keeping their site live, updating the blog with anecdotes from the barbershop and keeping it personal by sharing some enlightening conversions (probably best you read these yourself). Keeping your site active is vital to retain quality customer engagement and for your SEO – Google loves to see that your website is continuously updated and relevant. 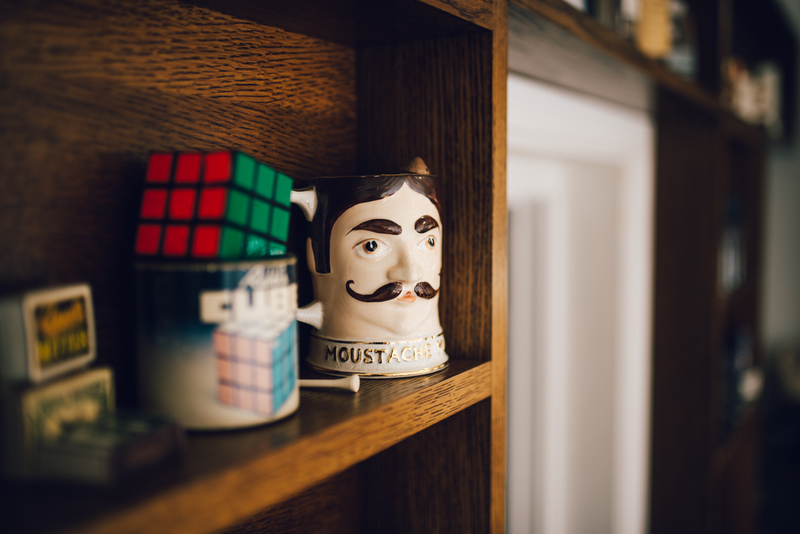 The guys have found a perfect way to incorporate their ethos into the blog, making it a space that grabs your attention and pulls you back to read more. Like all of The Content People’s websites it will evolve and grow with their business. 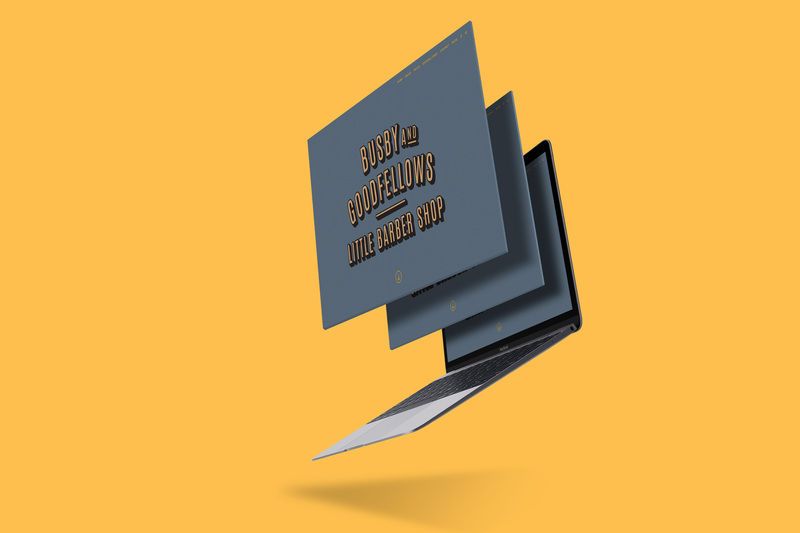 It was a pleasure building a site for Busby & Goodfellows and we’re looking forward to sharing all the amazing content that we make with them. Going forward I’ll try and write up as much about our work as possible, so you can see what we do and get tips for your own website and content. Let me know if you have any thoughts or ideas in regards to this site or anything else we do, and drop us a message if you’d like to build a website like Busby & Goodfellows! Content Person | Responsible for all things creative and technical.